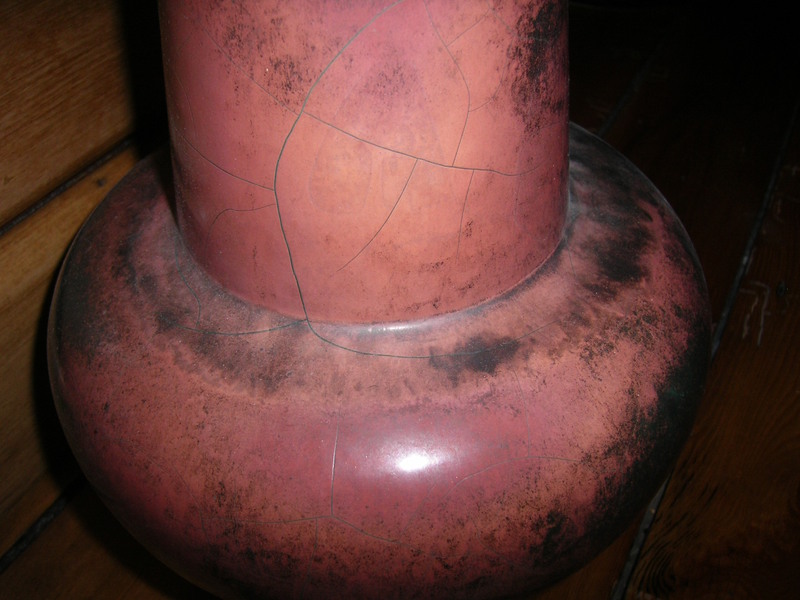 This Otto pot is possibly one of the most unusual pieces of West German pottery we own: it looks like it’s made of metal, with thin lines of green-copper ‘cracks’ running through it. 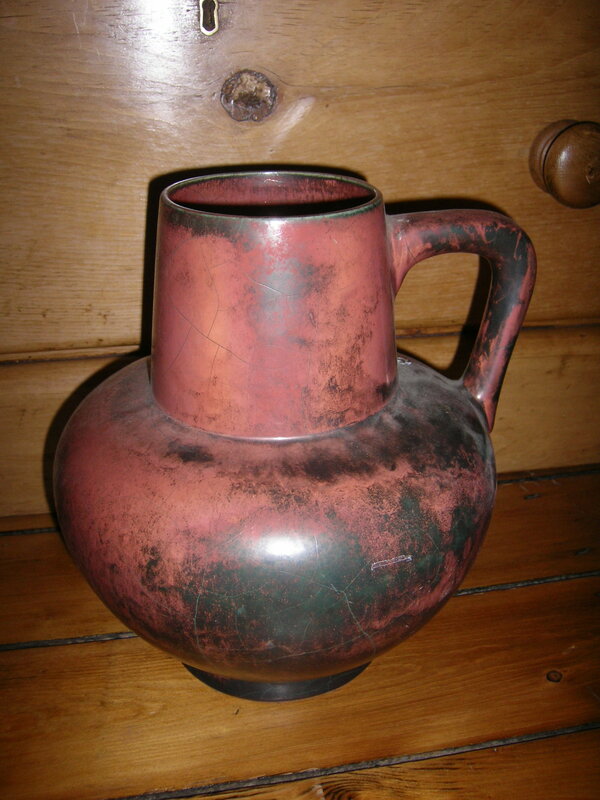 Otto do make some lovely pottery. They always seem to have either a unique glaze, shape or colour to them. Some of our best pieces have come from this factory. We bought this from a couple of women on a flea market who were rather bemused with our purchase! 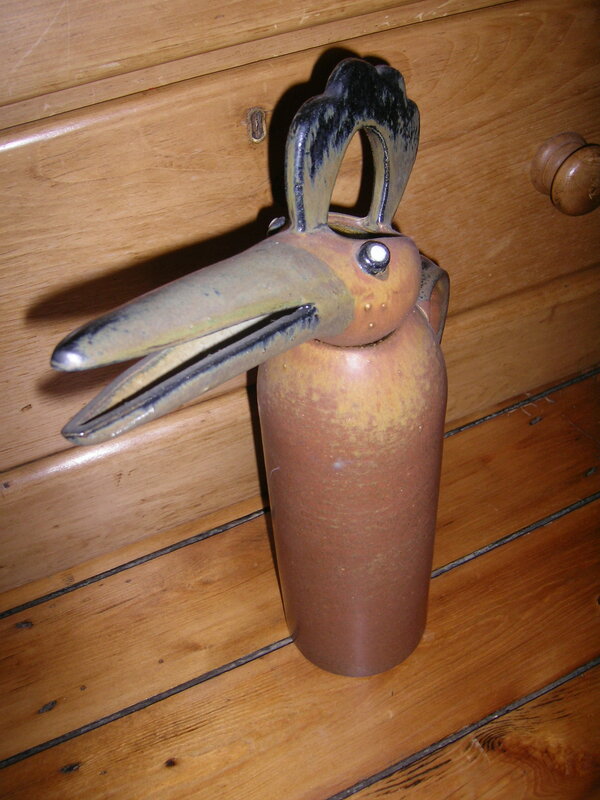 It’s certainly one of the more unusual pieces of West German pottery we’ve got. I think it’ll be staying with us for a while longer yet as it’s quite cheery looking in the bedroom.